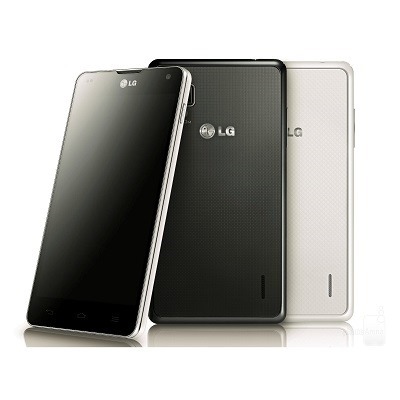 Sprint has shared a small update rolling out to the LG Optimus G, but right from the beginning, let's temper those expectations. Version LS970ZVC doesn't do much - actually, there's nothing here really worth mentioning. 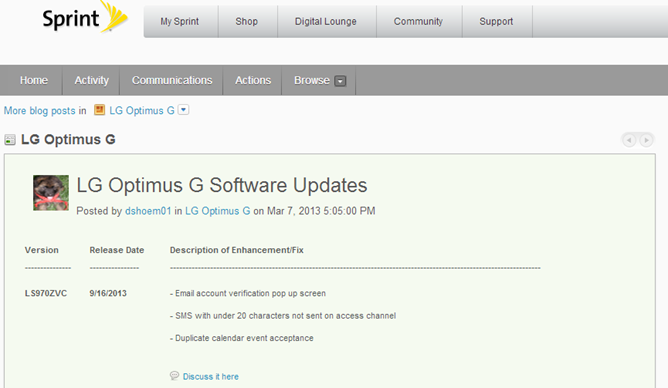 A few bugs related to creating an email account and managing calendar events have been fixed, and that's about it. This is the first update Sprint's rolled out to the device since the big leap to Android 4.1.2 back in March. Compared to that, this might feel like quite the letdown. Nevertheless, updates are updates, and a small update is better than none. Just don't think of this as one to run out and try to get your hands on immediately. Accept it when the notification pops up and carry on with your day.